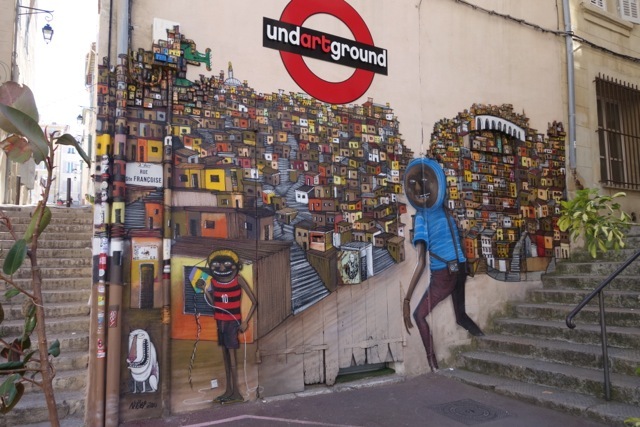 Marseille is just 30 minutes’ drive south of Aix-en-Provence – but it might as well be Baghdad as far as many locals are concerned. Some of the nicest people I have met here would not dream of going there for fear of running into gangsters – the type who sometimes emerge from the hills separating Aix-en-Provence from Marseilles to carry out the only sort of daylight robbery that is rare around these parts: the one at gunpoint. Which is weird because I had heard Marseille had cleaned up its act. Back when I first came to France at the turn of the century, most travel guides recommended giving Marseille a swerve unless you wanted your pocket picked, bag snatched, car broken into and jewellery robbed. All that has apparently changed since the city was dubbed Europe’s Capital of Culture last year. The city underwent a huge security clean-up, its historical centre and old port were scrubbed up, smart new museums, hotels and other architecturally interesting new structures appeared, festivals and exhibitions were launched and, just a couple of weeks ago, a vast new waterfront shopping mall was opened. 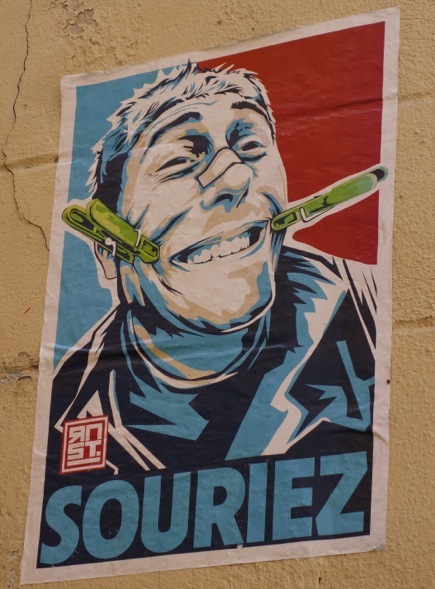 A huge PR campaign has done a sterling job of presenting Marseille to the world as a veritable melting pot of culture, design, history and, most importantly, really great food. Indeed, a delicious melange of peoples co-exist here because the city has provided refuge for thousands of immigrants over thousands of years. Last century alone the biggest waves of people fleeing injustices, atrocities or disagreeable mothers-in-law included Armenians, Spanish, Italians, Indians (from the Comoros Islands), Moroccans and Algerians. They all live in relative peace in a way that has social scientists rubbing their beards and muttering about true multi-culturalism. Even Muslim and Jewish groups are holding hands in Marseille to stare down the terrifyingly powerful Far Right. Inevitably, Marseille has started appearing on all the fashionable “must-do” travel lists. 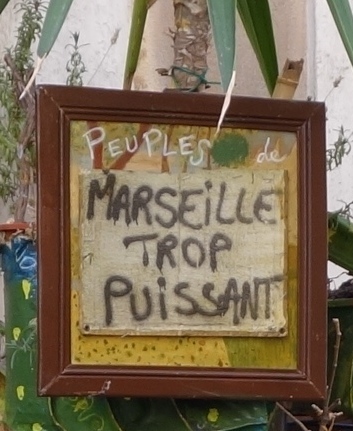 The Lonely Planet recently gushed: “forget everything you’ve heard about Marseille being a hotbed of crime”. Well honey you can forget everything you’ve heard about gravity but that’s not going to save you when you try to fly off the top of that building. 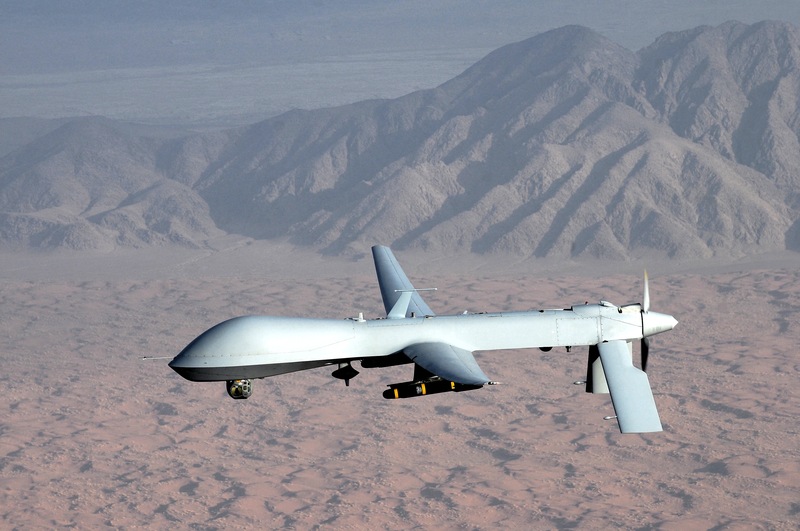 One of the city’s own mayoral candidates recently floated the idea of sending in drones to get the city’s lawless northern neighbourhoods under control because police won’t go near the place. Sure, everyone except journalists ignored Crazy Robocop Guy but plenty of perfectly reasonable people thought it was time to send in the humanoid troops. A raft of drug-related shootings between warring gangs late last year triggered the not-exactly-flush French Government to cough up three billion euros for a massive clean-up and urban renewal programme to try to tackle horrendous unemployment (up to 40 per cent in the poor Arab suburbs), drug dealing, social problems and violence in Marseille. So while foreign tourists flock to the safe bits of the hot new French destination, many French remain unconvinced that it’s somewhere they want to hang out in the weekend. 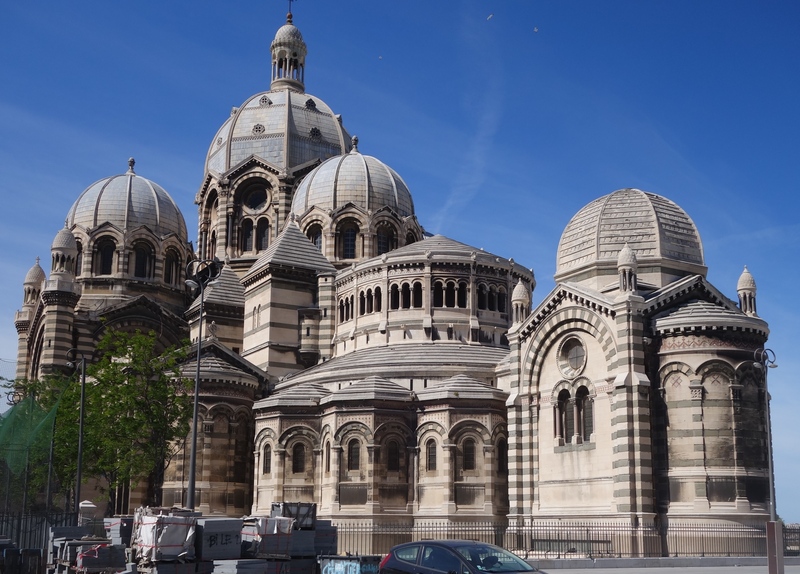 Almost imperceptibly, Marseille kept slipping down my huge list of things to do in or near Provence. Until Madame N found out we hadn’t been there. Madame N is supposed to be our French teacher but keeps finding excuses not to accept our money. You try arguing in a second language with your second language teacher. Can’t win. She was horrified that we hadn’t already seen Marseille and suspected us of being chicken. Madame N is at least six foot 13 and radiates the sort of no-nonsense goodness that would make a robber apologise, put down his gun and have a quiet think about his behaviour. Still, I had carefully cleared out my wallet just in case I did manage to find me a gangster. 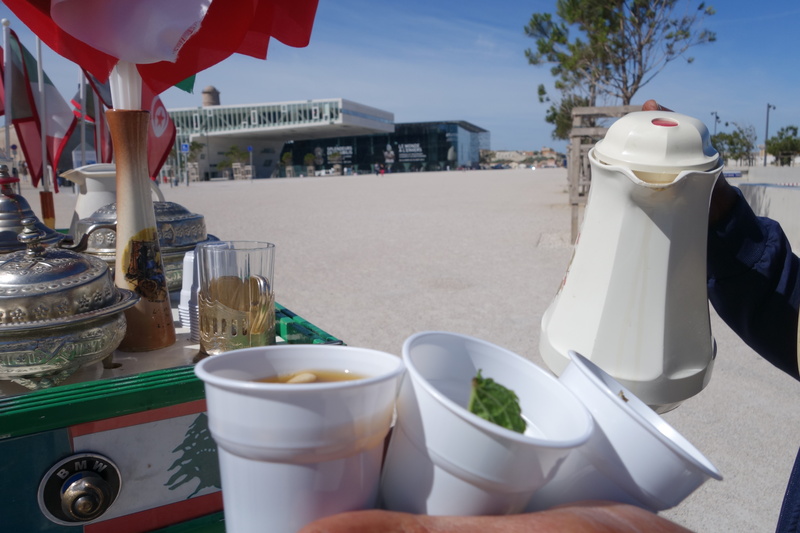 Less than half an hour after leaving home we pulled up in a brand new carpark underneath the Esplanade area of the Marseille waterfront and emerged squinting into blinding whiteness – the sunshine radiating off white sandy boulevards, white stone ramparts and white museum walls. There were no gangsters. Actually there was no one at all. The new Museum of European and Mediterranean Civilisations – France’s first national museum outside of Paris – was closed. It was Tuesday. Or maybe it was a strike. Museum closures and strikes are both common on Tuesdays. 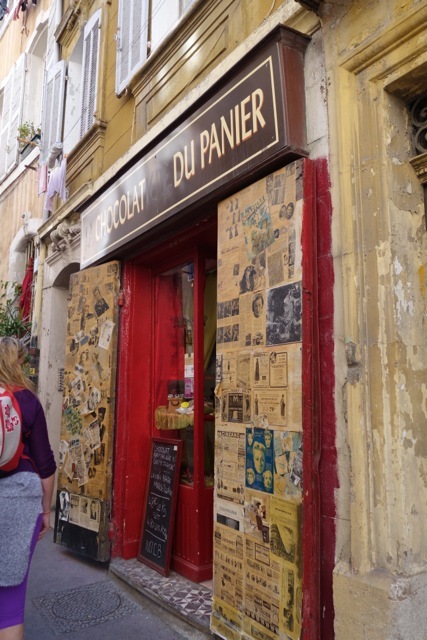 As we made our way towards the narrow alleys of the old city, known as Le Panier (the basket), Madame N spotted a gangster, marched right up to him and asked for a cup of tea. He tucked his AK47 under his chin, loaded up three tiny plastic cups with pine nuts, mint, hot tea and perhaps a sneaky milligram of heroin and robbed us of just a few euros. I may have made up the bit about the AK47. Also about him being a gangster but there was definitely attitude in the way he was wearing his cap – especially for a 75 year old. Anyway, Le Panier is cool. 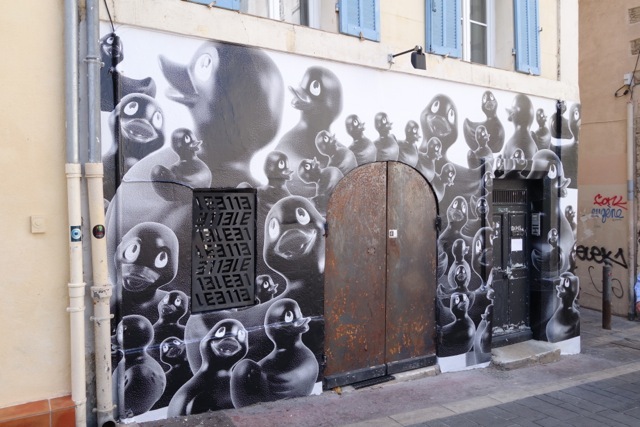 Street art, curious boutiques, edgy cafés and not a chain store or gangster to be seen. 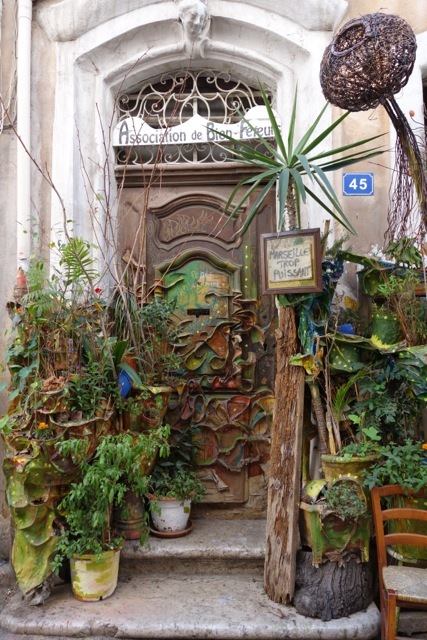 We sipped tea and wandered the narrow streets, avoiding the crottes de chien – the one thing that hasn’t been cleaned up in Marseille. It was good to check out the freshly restored public and private buildings, the ramparts of the old city, the view across the water to the Chateau d’If (the terrifying prison setting for The Count of Monte Christo), the splendid Byzantine Romanesque cathedral on the waterfront and another marvellous cathedral on top of the hill. Settling into a simple seafood lunch on a tiny first floor balcony overlooking the Vieux Port, we talked about the difference between falloir, devoir and avoir à with Mme N (In summary: “It is necessary that you let us buy you lunch, you must let us buy you lunch, you have to let us buy you lunch”.) The port was buzzing and it was very pleasant indeed. We were back within the week with The Aunt and will be returning again to take Small, Medium and Large to the MuCEM as well as an apparently super interactive underwater exhibition at the Villa Mediterranée. We want to see the giant mirrored canopy at the Old Port, a couple of art exhibitions and find out more about the history of the city. 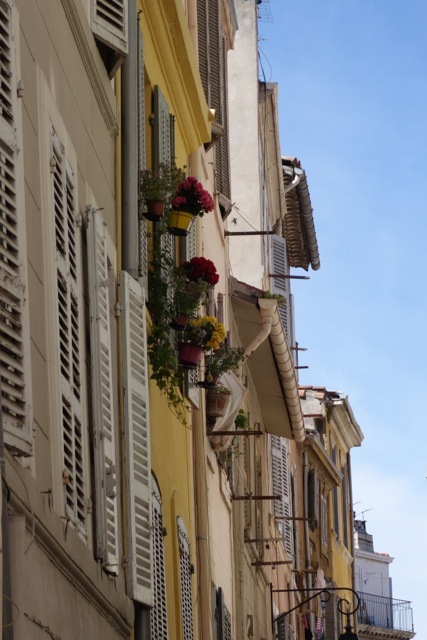 We’ll take ferries to Chateau d’If and to see more of Les Calanques, the white-cliffed, turquoise watered fjords either side of the city and we will sample a few of the culinary delights the city has to offer in its many fine restaurants. Does peuples mean “the people” or “the peoples”? I like to think both. lets go to wed market. Mme N is ALWAYS in the know! Happy Birthday my friend. This is a great read, thank you for sharing your adventures. Love to all. Hi Ruth – we just drove down. It’s so close by car. Less than half an hour. Have done it twice since the blog and had the most wonderful day on a boat out on the Mediterranean, exploring little bays and diving off the boat for fishing. Just beautiful. Sounds like you are doing many of the things we imagine!